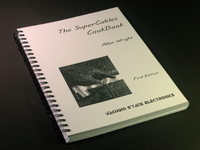 "The TubePreamp CookBook" and "The SuperCables CookBook". 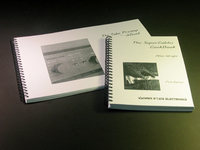 Both of them allow you a deeper insight into his thinking and philosophy, but they also allow you to improve your own Hifi system to increasing sound quality with sometimes quite easily applicable methods, which lead to often stunning good results. as Maxwell Smart would say: "Sorry about that!"]. I thoroughly recommend this book to anyone interested in either modifying or building valve equipment. It's a worthwhile addition to any library on the black art of valve audio. "...a valve polemic calculated to annoy transistor heads...above all it's fun, informative and eminently digestible"
Ken Kessler, Hi-Fi News and Record Review May '95. "I believe cables are as important as any other system component, and bring you 15 years of my research on the subject." having to defend them]. This ring-bound wonder is an explosive little tome. Do-it-yourselfers, precisely those who absolutely refuse to pay more than 10p a metre for a wire, can now fashion their own politically correct 'No Cost Super Twinlead', 'Double Cost Twinlead', 'Flat Stuff', 'Interleaved Ribbon Cable', 'Air-Spaced Finewires', a variety of foil cables, unbalanced and unshielded types, braided and unbraided, professional balanced/shielded, solid core, interconnects, AC cables, digital cables, video cables - it's all there. Alas, the first edition is limited to 500 copies, so don't waste any time. Email him on . 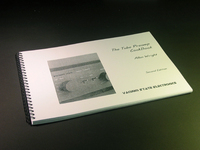 This book is set to join its predecessor, The Tube Preamp Cookbook, and Harvey Rosenberg's canon on the Definitive Audio Casualty Bookshelf.